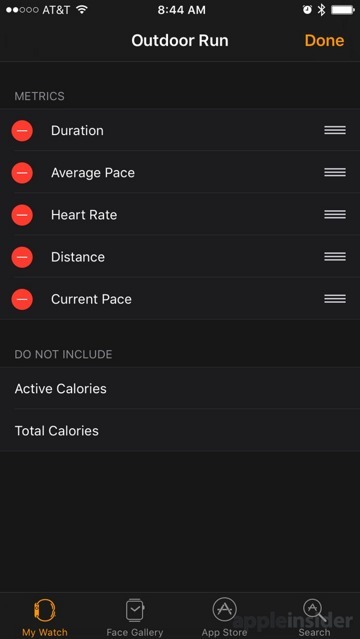 There Apple presents a choice of "Single Metric," where just one workout stat is shown at a time, or "Multiple Metric," with a variety of readouts during an exercise. Choosing the latter presents users with the full range of workouts that can be tracked by the native Workout app on Apple watch. Each of these can be individually customized to a user's liking. 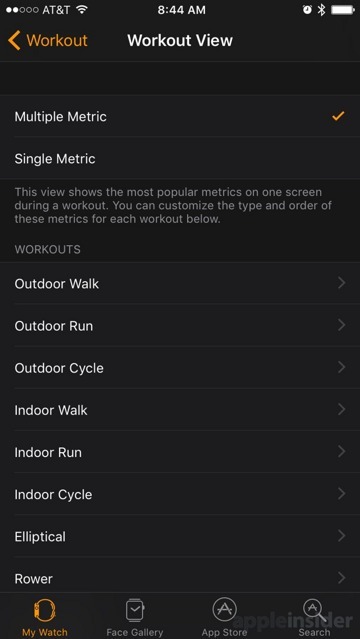 For example, select "Outdoor Run," and users are presented with seven total possible metrics to be displayed on the Apple Watch screen. Up to five of them can be shown at once during a workout. Options are more limited for other types of workouts. For example, an elliptical workout gives options for duration, active calories, total calories and heart rate— and these can be displayed in any order the user chooses, or not displayed at all. 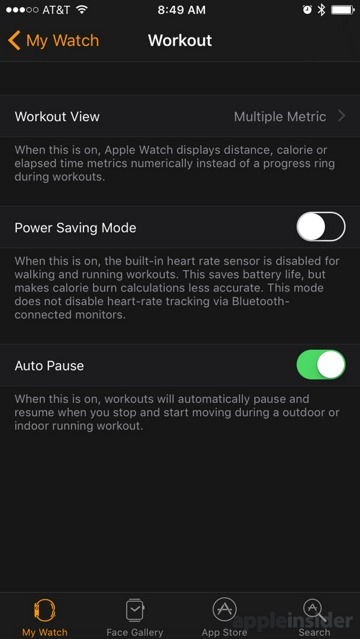 Settings for the Workout app also include a "Power Saving Mode," where the heart rate sensor is disabled for running and walking workouts. Apple notes that this saves battery life, but does not make calorie burn calculations less accurate. Users can still rely on an external Bluetooth heart rate monitor with this mode disabled, if they so choose. Finally, the Workout app also has an "Auto Pause" mode, during which workouts will automatically pause and resume when a user stops and starts moving during an outdoor or indoor running workout. 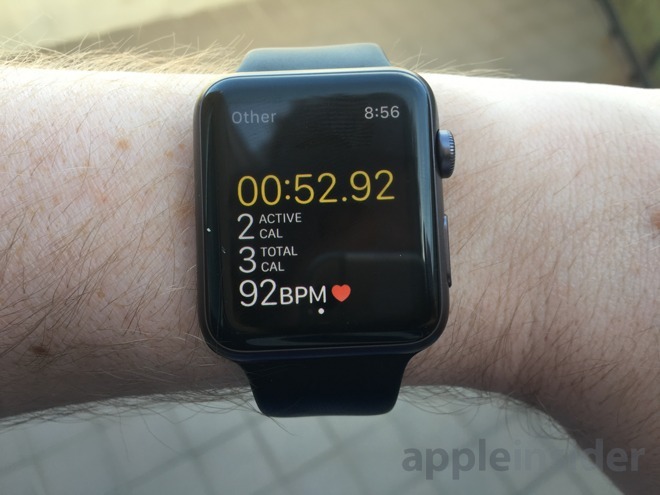 On the Apple Watch itself, the Workout app gains a new "Quick Start" option, which gives users the ability to repeat the same workout they previously completed. And upon finishing an unlabeled "Other" workout, users are also given the option of naming it. Choosing this presents a range of sports, including archery, Australian-rules football, golf, pilates, skiing, strength training, and yoga.